Within the modest scope of Azerbaijani film productions, generational conflicts appear to play a dominant role these days. As more and more younger Azerbaijanis move to big cities or abroad, family structures are becoming more complex and less traditional. 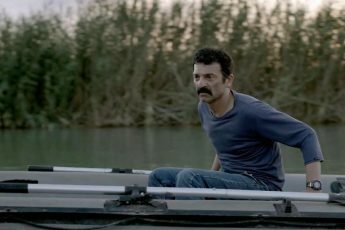 Last month, I reviewed the remarkable Chameleon, which deals with Azerbaijan’s rapidly transforming economy and its effects on rural family life. Swiss helmer Eileen Hofer’s first feature He Was a Giant with Brown Eyes also tackles changing family structures. Sabina and Narmina are sisters who grew up separated, one with their mother in Switzerland and the other with their father in Baku. They meet when Sabina arrives in Baku pretending to spend her summer vacation with her sister and father, but her secret plan is to move back in with them. 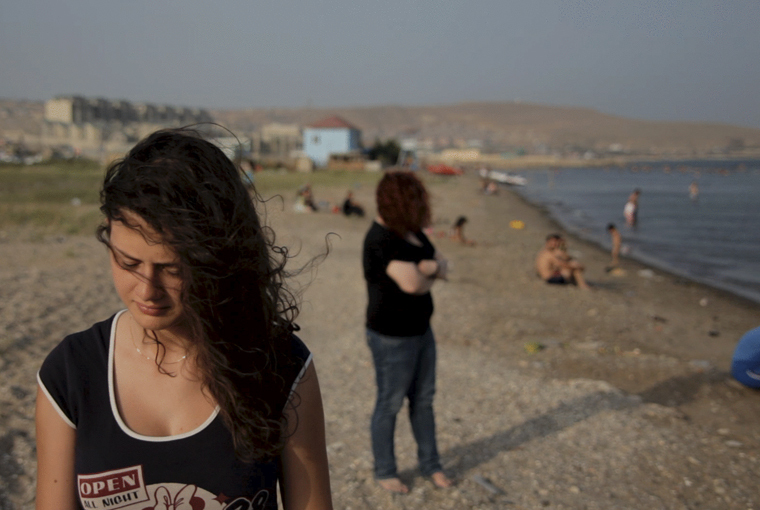 Upon arriving in Baku, Sabina’s only wish is to reunite with her family. But soon she realizes that her sister and father have their own sorrows. 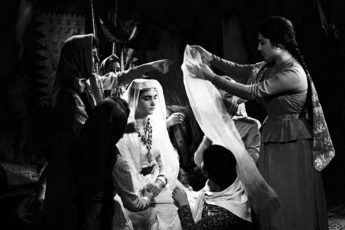 Narmina’s boyfriend has to leave for the army and Sabina’s father is in the middle of planning his third marriage, which prompts Narmina to have her own dream about leaving Baku for Switzerland. Instead of the aspired welcome-back, Sabina is left to discover her origins by herself. She goes on a road trip to meet her ancestors. If it was Sabina’s intention to find family, her voyage lets her discover rather unfamiliar customs and norms. On one occasion her father tells her about forced marriages, on another that, conforming to Azeri tradition, he should not recognize her as his daughter for “running away.” When she meets her overweight grandmother, she is too old to speak. While these and similar incidences of reality-checking could have prompted cosmopolitan Sabina to question her plans to stay in Azerbaijan, she experiences it all like, well, someone playing in a movie. A bit more realism wouldn’t have hurt here. Does Sabina feel fulfilled for having finally discovered her true identity or is she dying to go back home? Hofer also avoids showing reactions of Sabina’s encounters. Do they consider her a spoiled Westerner or one of their own? This conflict could have been the basis of an interesting movie. 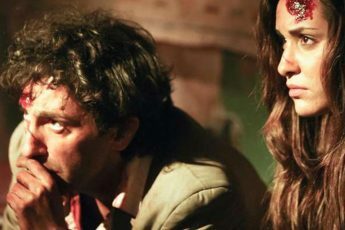 The film was screened as a documentary at the Rotterdam Film Festival in 2014, but some of its scenes border heavily on fiction. The many close-ups, sophisticated camera work, soundtrack, and other elements foreign to traditional documentary styles make it hard to recognize it as a documentary at all. While Hofer’s innovative docu-fiction approach may impress audiences who believe that documentary is still about interviewing people, the brazen access to her main character hides the lack of a real conflict. Hofer’s film stagnates midway between hazy nostalgia and coming-of-age drama.